Where can you connect and network with over 3,500 Jains across North America and learn from over 80 distinguished Scholars and Leaders? The JAINA 20th Biennial Convention in Los Angeles on July 4th Weekend! JAINA is recognized as one of the most influential associations of Jain's in the World and the JAINA Convention is the signature event for all Jain's across North America. The JAINA 2019 Convention will be a gathering of over 3,500 Jain Family & Friends across North America and the World, who will have the opportunity to meet and listen to over 80 distinguished Scholars and Leaders. The JAINA 2019 Convention Board & Committees along with over 250 Volunteers have been diligently working hard to make the 20th Biennial JAINA Convention in Los Angeles a memorable event for you and your family. Please see the some of the Highlights that we have planned below. We recommend that you Register at www.jainaconvention.org as soon as possible as we have a limited capacity and already have over 2,500 guests registered for this unforgettable event. 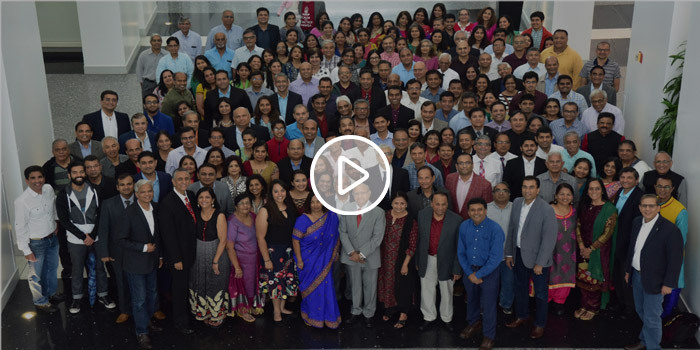 Please click the link below to view a short Video on the JAINA 2019 Convention.